In several cases, including that of Diana Ayala, Carlina Rivera and Alicka Ampry-Samuel, female candidates were successful in September and appear set to join the City Council. In others, as with Pia Raymond, Marjorie Velazquez, and Amanda Farias, they were not victorious. While the winners celebrate and wage the far less competitive general election, those who lost have been left with questions about their campaigns, and about what to do next. In conversations with Gotham Gazette, Raymond, Velazquez, and Farias each reflected on their electoral effort and looked ahead. In a close race in the Bronx, in District 13, Marjorie Velazquez faced Mark Gjonaj, a sitting state Assembly member, among others. Velazquez won 34.17 percent of the vote, a close second to Gjonaj’s 38.46 percent in the five-person primary. Gjonaj spent over $1 million, an unheard of sum for a City Council race; while Velazquez spent about one quarter of that, around $225,000. In the past, District 13 has been home to few female candidates, a pattern Velazquez hopes her run will help reverse. “Women are definitely held to a double standard every which way when running a race and when women see that it can be done, when women see that they have an example, they are more comfortable doing this,” she said. Velazquez, who has served on Community Board 10 in the past, emphasized the importance of participation below the City Council level. “Women need to understand that we need them on community boards, we need them on community education councils. We need women representing every way that they can,” said Velazquez. She will appear on the Working Families Party line in the general election, on the heels of her loss in the Democratic primary, but she is not actively campaigning. When discussing potential bids in the future, Velazquez was unequivocal about her intention to campaign again. “Would I ever run again? Most definitely,” she said. In the fight for District 18, life-time Bronx resident Amanda Farias faced another state legislator-turned-City Council candidate; state Senator Rubén Diaz, Sr. In a crowded race, the candidates faced off for an open seat being left by term-limited Council Member Annabel Palma. The senator won with 42 percent of the vote; Farias finished second at 21 percent. Like with Gjonaj, most primary voters did not choose Diaz, Sr., though the state lawmakers each won with a plurality. Farias attributes her loss in the South Bronx district to a number of advantages benefitting Diaz, Sr. “Name recognition, having a similar name as our borough president for example, these are things that definitely played a large role in the folks that came out and either weren’t touched enough or came out to vote and didn’t get enough information on anyone in the race,” said Farias, in reference to Diaz, Sr.’s son, Bronx Borough President Ruben Diaz, Jr.
Farias did not disclose which race she may be considering. She also argued that the push for greater female representation is not a responsibility that lies solely with women. “It’s not only identifying women and providing them with training, it’s being able to push back and hold men accountable in that they also need to be supportive or they need to take their own back seat as well as ensuring that there’s money being funded to women,” said Farias. 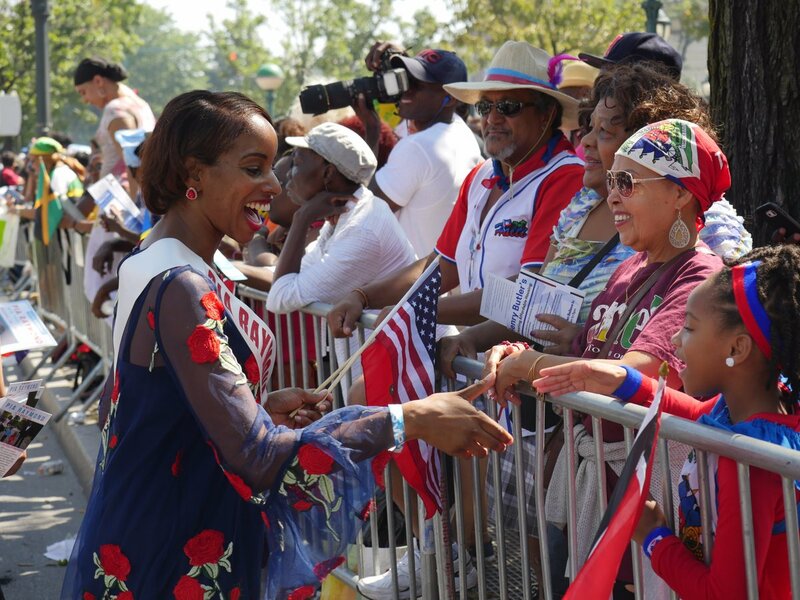 For Pia Raymond, the decision to challenge incumbent Mathieu Eugene in Brooklyn’s District 40 Democratic primary created an uphill battle from the start. Raymond also had to compete with another strong challenger, Brian Cunningham, who has worked as an aide to multiple City Council members. Eugene, the incumbent of ten years, garnered 40.15 percent of the vote while Raymond came in third with 22.39 percent. While it was perhaps telling that 60 percent of Democratic primary voters did not choose Eugene, Raymond and Cunningham split the opposition vote (Cunningham is continuing his battle to unseat Eugene in the general, as he has the Reform Party ballot line). Raymond characterized her campaign as a response to unmet needs caused by growth, displacement, and rising rents across the district. Little more than a month after her primary loss, she was clear about her intentions for 2021, when Eugene will be ineligible to run again if he wins this year. “I definitely intend to run,” said Raymond. Raymond attested to disparities in treatment between men and women throughout the race, particularly her experiences with media coverage focused on physical appearance. “Despite perhaps having interviews for an hour long, they would start off an article with my appearance or attractiveness or that I’m lovely instead of discussing any of my qualifications, passion, experience, leadership in the community that’s longstanding,” said Raymond. Like Raymond, Farias, and Velazquez, other women attempted to win City Council seats for the first time and performed well, but were not victorious. Others included Marti Speranza, who came in second in the crowded Democratic primary for the "open" District 4 seat and Alison Tan got nearly 42 percent of the vote trying to unseat Council Member Peter Koo. Meanwhile, among the first-time winners, in addition to Ayala, Rivera, and Ampry-Samuel, there was Adrienne Adams. All four primary winners are heavily favored to win the November general election. 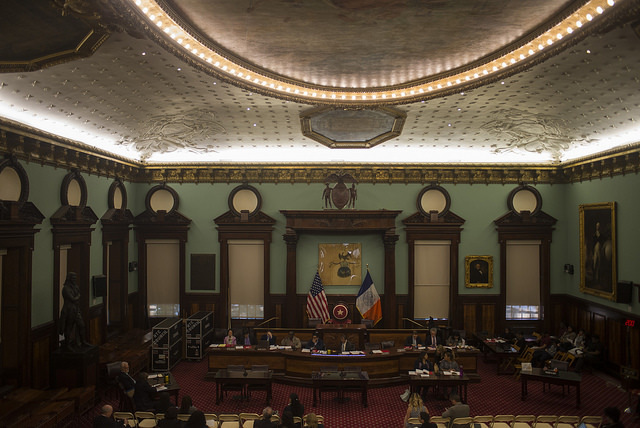 They are likely to join several incumbent female Council members who are on the path to reelection, including Women's Caucus co-chairs Helen Rosenthal and Laurie Cumbo, along with Elizabeth Crowley, Vanessa Gibson, Karen Koslowitz, Inez Barron, and Deborah Rose. Council Member Margaret Chin barely staved off defeat to Christopher Marte in the Democratic primary, and is now facing Marte in the general as he runs on a different ballot line. Low percentages of female electeds within the New York City Council reflects a national trend of systemic underrepresentation within legislative bodies. Nationally, women hold 24.9 percent of state legislative seats, according to the Center for American Women and Politics, a number that has seen little change over the last decade. Representation disparities within Congress are even more stark, women account for 21 percent of Senators and 19.4 percent of Representatives. These trends can be attributed to a number of causes including a backlash against female advancements in legislative representation and a hesitation across the board to become involved in the current partisan political environment, according to Susannah Wellford, president of Running Start, an organization that seeks to involve women in politics at an early age. Regardless of the reason, the disparity is a troubling trend, as gender balance not only boosts issues of importance to women, which can include anything, but also is shown to lead to better overall legislative outcomes for constituents. “When we don’t have women in power then the issues that women care about don’t make it to the table, they don’t make it into the discussion at all,” said Wellford. Gripping two drinks, Amanda Litman, co-founder of a political action committee dedicated to helping young people run for office, arrived at a New York University classroom with a kick in her step. 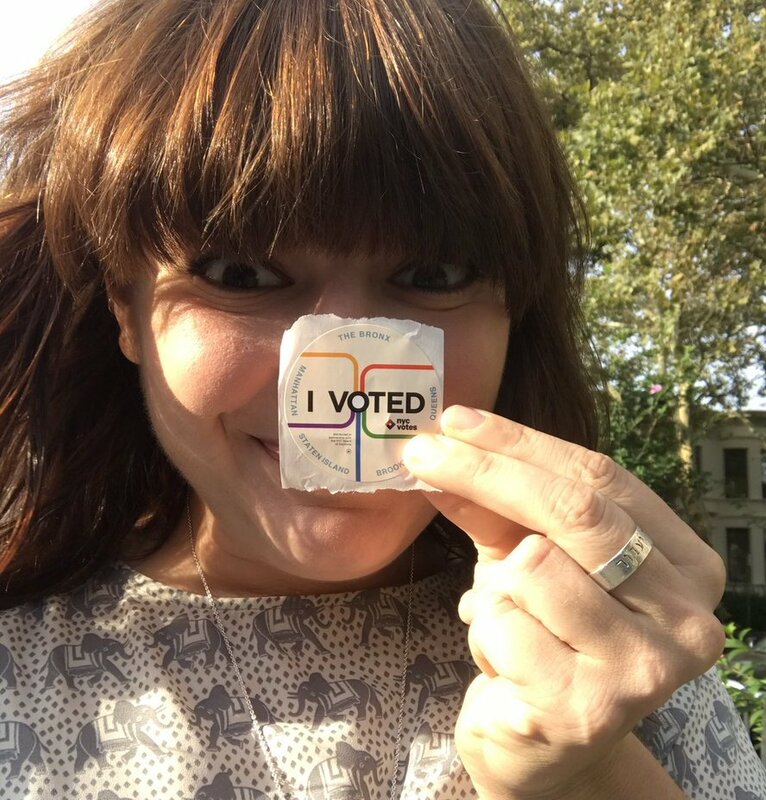 The 27-year-old political campaign veteran-turned-author walked in holding an iced coffee with soy milk and three Splendas in one hand and a tiny bottle of San Pellegrino water in the other. The 27-year-old Brooklynite’s book, published this month by Simon & Schuster, explains how to run for office, how the government works, how to get a job on a campaign, and basics of voter mobilization and campaign finance. Written in just seven weeks, “Run For Something: A Real-Talk Guide to Fixing the System Yourself,” features an introduction by Hillary Clinton along with sections by Cory Booker, United States Senator from New Jersey; and Jason Kander, founder of Let America Vote. The book was a side project to her organization, Run For Something, which she founded after the 2016 election with Ross Rocketto, former management consultant at Deloitte Consulting’s innovation center. The organization, which recruits, supports and endorses first or second-timers under age 35 to run for office, launched Inauguration Day, as Donald Trump was taking the oath of office. After nine months and with the help of many volunteers, the group claims 11,000 newcomers have signed up to run for office and nearly $500,000 raised from about 5,000 donors. “My goal is that in 10,15, 20 years you’ll see a presidential candidate who got their start because we told them they could run for office when they were 25 years old,” said Litman. One of the New York City candidates connected with the program, Marjorie Velazquez, 36, praised the social media promotion Run for Something gave her campaign. A lifetime Bronx native running for City Council in the Bronx, in District 13, Velazquez is a proponent of women’s rights who will appear on the general election ballot under the Working Families Party after losing the Democratic nomination to state Assemblymember Mark Gjonaj by 390 votes. Christopher Marte, 28, another Run for Something candidate, lost the Democratic primary in Manhattan’s City Council District 1 by only 200 votes in an effort to unseat incumbent Margaret Chin. Marte also said having such a guidebook in the market and an organization that can be so helpful to young candidates is significant. “When I was looking up how to run or get on the ballot, there was no one to answer the most basic questions—how do you get a petition form, how do you get a committee started,” said Marte, who will appear on the ballot in November under the Independence Party. He is actively campaigning in a continued effort to topple Chin. Along with Velazquez and Marte, Litman’s organization endorsed other City Council candidates running this fall, including Amanda Farias, the only woman who ran for a City Council seat in the Bronx’s District 18; Vanessa Aronson, who ran in Manhattan’s District 4; Ronnie Cho, a former White House director of public engagement during the Obama presidency, who ran in Manhattan’s District 2; and Justin Sanchez, an L.G.B.T candidate who opposed an openly anti-L.G.B.T incumbent in the Bronx’s Council District 14. All these candidates fit the Run For Something support criteria. Candidates must be under 35, Democratic, pro-choice, L.G.B.T. rights supporters, believe in climate change, and advocate to reduce gun violence. The organization provides guidance on how to run, mentorship from political experts and consultants, partnerships with candidate support programs, and endorsements. At least thus far in the 2017 cycle, none of Run for Something’s candidates has been successful in New York City. But, first-time candidates winning their elections is not nearly the entire frame of Run for Something. Litman decided politics was her calling at a young age, spending her high school weekends campaigning for Virginia Democratic gubernatorial candidate Tim Kaine, now a Senator and recently Hillary Clinton’s vice presidential running mate, and reproductive rights advocacy group NARAL Pro-Choice Virginia. The appeal of Litman’s activist enterprise is borne of and extends to her persona, which young people can relate to. She comes across as genuine and relatable; not lecturing, but laughing at herself and cursing in the flow of her conversation. She gushes over her dog, Sadie, who’s “too cute to discipline.” She reads romance novels that she buys on her mother’s credit card. And she says it like it is, never claiming that running for office will be easy; instead, she emphasizes that it will be exhausting and hard, but worth it. Even if her new candidates lose, what matters to Litman is young people getting on the ballot in the first place. She believes that as more progressives run for office, voter contact will increase, more volunteers will get involved, more Democratic ideas will be advocated, and eventually, the system will improve. Daniela Cobos and Vedika Kumar are journalism students at New York University. Come January, the Council will have at least eight new members. Through the September primaries and November general election, seven term-limited members will be replaced: Rosie Mendez (District 2), Dan Garodnick (District 4), Council Speaker Melissa Mark-Viverito (District 8), James Vacca (District 13), Annabel Palma (District 18), Darlene Mealy (District 41) and Vincent Gentile (District 43). Another Council seat is currently vacant following Council Member Inez Dickens’ election to the Assembly. A nonpartisan special election is scheduled for February 14 for her seat in District 9 in Harlem. There are 11 candidates vying for the seat and the winner will serve through the rest of Dickens’ term, meaning its final year, and will have to run for reelection later this year. Two candidates, Todd Stevens and Larry Blackmon, are leading the race in fundraising, having qualified for public funds under the campaign finance system's matching funds program. Stevens has $46,871 in his account and Blackmon has $44,954. The closest other candidate is Marvin Holland with $26,325. Holland raised the most private contributions but, along with most other candidates in the race, did not meet the thresholds for public matching funds by a January 17 deadline for campaign finance disclosure. The rest of the candidates' accounts range from a few hundred to a few thousand dollars, with the most being Athena Moore's $5,005 and the least being Caprice Alves' $86. The next disclosures are due by Friday, February 3, based on which additional candidates may qualify for public funds. Open seats invite numerous candidates for each race and the campaign finance system’s public matching funds program tends to help level the playing field for participants. Across all eight “open seat” races, candidates have been furiously reaching out to constituents and community groups, and, in the case of many first-timers, building their profiles and name recognition. In some races, community activists are hoping to defeat political veterans from Albany -- state lawmakers representing New York City often look to switch to the City Council, where the pay is better and the trips to Albany fewer. Several state legislators are still exploring whether to pursue Council seats, with decisions imminent as the September primary is just over six months away. In multiple races, female candidates are striving to strengthen the gender balance on the Council, a male-dominated body. All of the eight “open seats” were most recently or are currently held by Democrats, and are likely to stay in Democratic hands. The Council currently has 47 Democrats and three Republicans, with the one empty seat (Dickens’). The Democratic primary is often determinative of the final outcome in City Council races. In most of the “open seat” contests this year, there are candidates who have already posted significant fundraising numbers according to the latest campaign finance disclosures filed before a key January deadline with the New York City Campaign Finance Board. Fundraising can make or break a campaign, and early numbers are often predictive of what kind of campaign a candidate can run and how a candidate will do. Thanks to the city's public matching system, City Council candidates can often raise relatively modest amounts of money, qualify for matching funds, and run serious campaigns. In Manhattan’s District 2, which stretches from Murray Hill down to the Lower East Side, Carlina Rivera leads the race, having raised $77,125 and spent $19,408, leaving her a balance of $57,717 in her campaign account as of mid-January. Rivera is a district leader and currently serves as legislative director for Council Member Rosie Mendez, a position she’s held since August 2015. Mendez has endorsed Rivera to be her successor in the seat. According to a campaign spokesperson, Rivera is a participant in the public matching funds program. Running against Rivera is Mary Silver, a local attorney, education advocate and member of Community Board 6. Silver has a campaign balance of $30,523, having raised $38,725 and spent $8,202. A third candidate, Jasmin Sanchez, has posted no campaign contributions or expenditures. District 4, which covers much of the east side of Manhattan, has six contenders for Council Member Garodnick’s seat. Two of them, Maria Castro and Diane Grayson, have empty campaign accounts. The early fundraising leader is Marti Speranza, a Democratic State Committeewoman and member of Community Board 5. Speranza is the former director of Women Entrepreneurs NYC, a city initiative, and has served as director of strategic initiatives for the Department of Consumer Affairs. She has just over $126,000 in her campaign account, having raised nearly $176,000 and spent about $50,000. One of the benefits of running for an open seat, Speranza said in an interview, is that the city’s public matching funds program “has really levelled the playing field” and ensured that voters will have multiple choices. “It means we’re competing on our ideas and our platforms,” she said. Keith Powers is also expected to run a strong campaign to replace Garodnick, and has raised $81,485 and spent $24,771, leaving him $56,714 as of mid-January. Powers, currently at Constantinople & Vallone LLC, a consulting firm, worked as chief of staff for former state Assembly Member Jonathan Bing for four years. Powers pointed out that most of his campaign contributions are in small dollar amounts and came from district residents. “At the end of the day, fundraising matters, but the most important thing is having a motivated base of supporters in the district and having a record of accomplishment,” he told Gotham Gazette. Also in the race are Jeffrey Mailman, who has a campaign balance of $32,916; Bessie Schachter with $19,732; and Melissa Jane Kronfeld with $4,138. In East Harlem’s District 8, Speaker Melissa Mark-Viverito has endorsed her deputy chief of staff Diana Ayala for her seat. Ayala has campaign contributions of $26,173, of which she has spent $1,733. Other candidates in the race have barely scratched the fundraising surface as of mid-January. Edward Gibbs has a balance of $5,884 while Edward Santos has $1,803. A fourth candidate, Tamika Mapp, has $25. That race appears to be Ayala’s to lose, but it is still somewhat early. Bronx Council Member James Vacca’s District 13 will likely be home to a competitive race, with six candidates running relatively close in fundraising. State Assembly Member Mark Gjonaj is in front, having raised $103,730. With expenditures of $19,276, he has a balance of $84,454. He also has the name recognition and political relationships that come with already being an elected official. Local Bronx organizer John Doyle, who served for five years as community affairs director for state Senator Jeff Klein, is third in money with $42,987 left after raising $59,135 and spending $16,148. District 18 in the South Bronx, currently represented by Council Member Annabel Palma, has only two candidates officially running, and neither has shown significant fundraising. Elvin Garcia, former Bronx borough director for Mayor Bill de Blasio’s community affairs unit, has $29,279 in his account. Amanda Farias has about half that, with $15,102. Farias has years of experience with the City Council, having managed the Council’s Women’s Caucus and served as the director for participatory budgeting for Council District 30. Many, including Garcia and Farias, are eager to see if State Senator Ruben Diaz Sr. jumps into the race to succeed Palma, which is he rumored to be considering. The race for Darlene Mealy’s seat in District 41 in Brooklyn seems low-key at the moment. Five candidates have declared their intentions to run but none have raised funds for a formidable campaign. The biggest haul belongs to Deidre Olivera, who brought in $4,902 and spent $3,776, leaving her $1,126. Moreen King raised $2,000and spent $380, for a balance of $1,620. In Bay Ridge, the District 43 race may be one of the few City Council elections with a competitive Republican versus Democrat general election. The only two candidates who have raised money in the race are Justin Brannan, a Democrat who used to work for current and term-limited Council Member Gentile, and Robert Capano, a Republican who has served under top elected officials from both parties. Brannan has received $57,385 in contributions and has $2,306 in expenditures, through mid-January. His $55,079 balance far outpaces Capano, who has $5,688 remaining after spending $5,679 from his $11,367 in campaign funds. This is another race where the possible entrance of a state legislator could shift dynamics greatly: Democratic Assembly Member Peter Abbate is said to be considering a run. Even if he was to enter the race, he would face tough competition in Brannan, who is president of a local Democratic club and a long-time community activist in the area, as well as a former Gentile aide. Note: This article has been updated to include fundraising numbers from the Council District 9 special election and to clarify that Marti Speranza is a Democratic State Committeewoman, not a district leader.